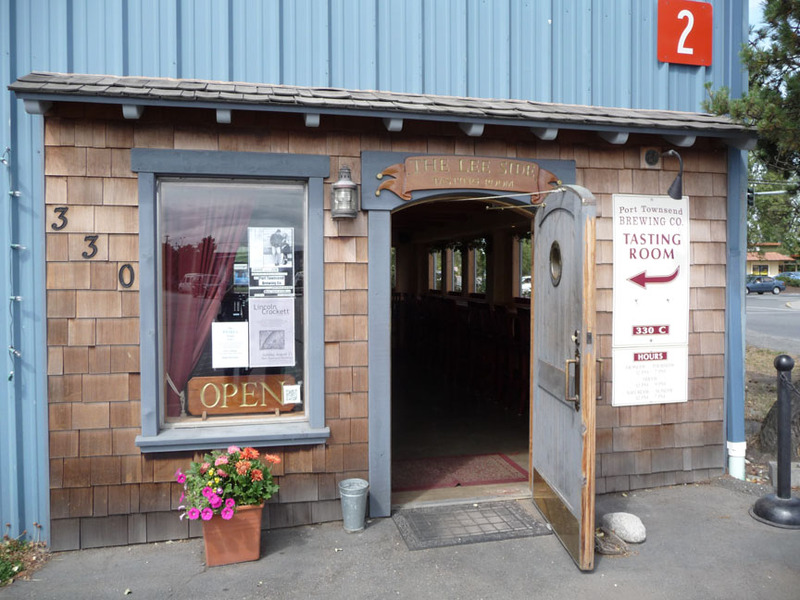 The pub/tasting room is a pleasant room with low ceilings and something of the feel of a shipâ€™s cabin with wooden beams. Floors are concrete and windows run all along two walls, giving the place a lot of light. 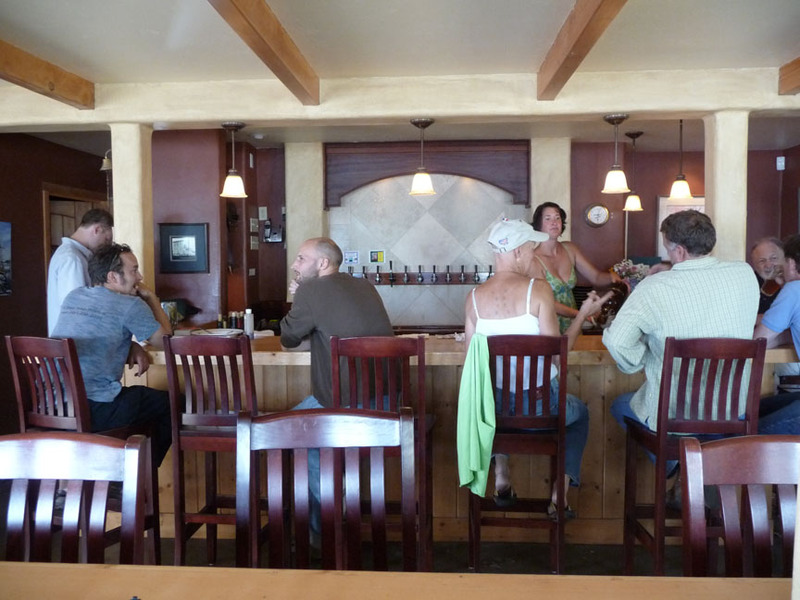 The bar is pine with tall dark wood chairs on two sides and columns with light yellow stucco-like paint. More tall counter pine tables run along the windowed walls with the same tall chairs and the middle of the room has a built-in pine table with chairs on both sides. One corner of the room has a small gift shop area. The brewery is behind the tasting room in a warehouse-like structure with tall garage door openings. 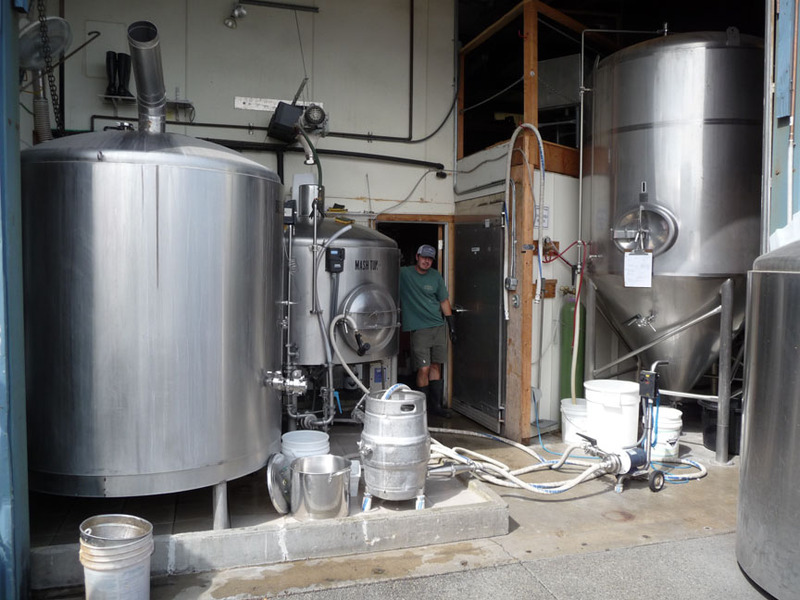 The doors were open and brewing was happening on our visit (it looks like it must be quite cramped with the doors closed). There was a great aroma of brewing beer throughout the beer garden. 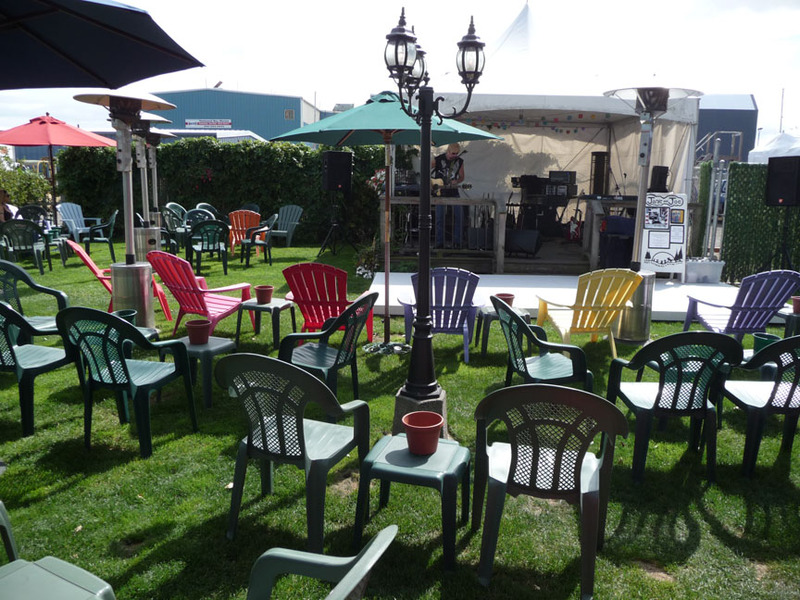 The beer garden is a great space past the brewery - a nice lawn with numerous plastic chairs and small end tables, a few umbrellas, lovely hanging flower baskets and hop plants, and lots of space heaters. Thereâ€™s also a stage for music. The atmosphere is good pub and the beers are quite good. Happened to be in Port Townsend a few weeks ago and our local guide brought us to this 'working man's' establishment. 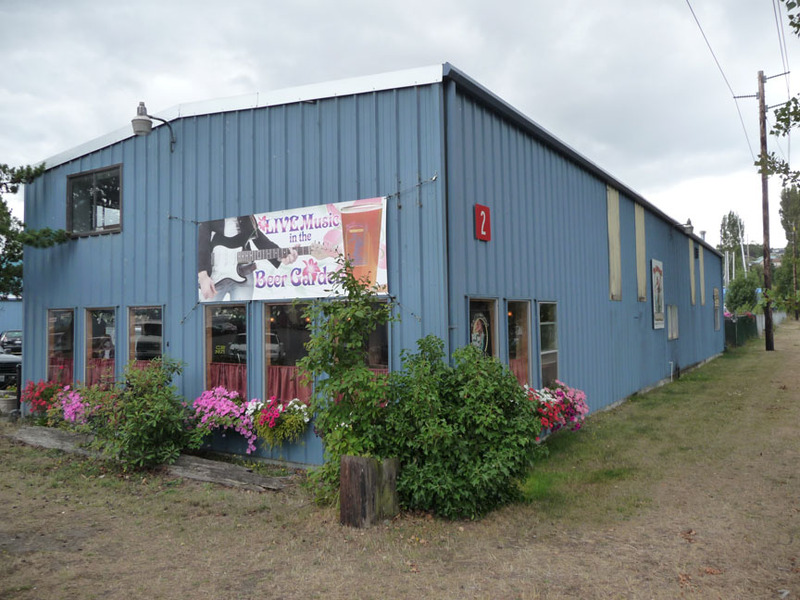 Nothing fancy just a functional building with good beer. When we pulled in they had the garage door open and were brewing up a storm. Good sign!! The tasting room was pretty quiet, but with all the boats in the yard under repair or restoration I can imagine what it's like at quitting time. Beer tender was not all that knowledgeable of their brews but we felt our way through most of them. Hop diggidy was my favorite the name says it all, IPA and Pale were also very good. Will return again for a longer stay. Stopped at Port Townsend Brewing. It is just a taster room so No Kids. So wife and child waited in the car as I sampled some beers. The place is a side room right next to the brewery and if the brewery was running I bet you would get the smells of brewing for sure. It looked really nice had lots of games and a few snacks NO food just peanuts and popcorn. The bartender was nice but not too sure about her beer knowledge but I will give some slack since it was Sunday. I will stop again hopefully too see the brewery in action. Beers overall where not too bad easy drinking stuff. Port Townsend sits on a point of land looking out at the Strait of Juan de Fuca and British Columbia's capital of Victoria. A quaint, small burg of 8500 people with a 5-block downtown that features many 19th century Victorian brick buildings. One of the finest examples is the Water Street Brewery...too bad their beer can not claim a similiar title. But travel down Water Street a few blocks until the dry dock section of the city reveals itself. 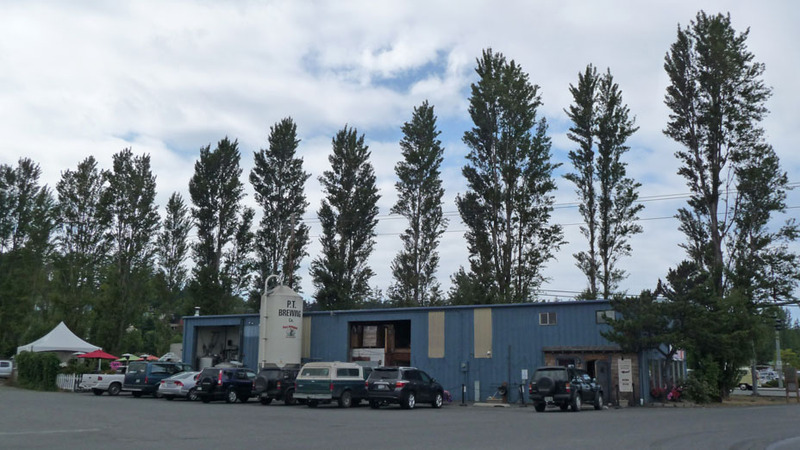 There, in a non-descript blue metal warehouse is the Port Townsend Brewery where you will taste some of the best beer to be had in the Evergreen State. From Hop Diggity IPA and Peeping Peater Scottish Ale, to Strait Stout to Boatyard Bitter, Port Townsend Brewery serves 'em all to sailors and strangers alike. Open for just a year, the tasting room is small & decorated to resemble the inside of a ship. This place is never without a crowd so one could easily imagine the cramped conditions on such a 19th century vessel sailing from England headed for America through a stormy Atlantic sea...which would make service a bit slow, as it does here. Games like backgammon, chess & cards are laid out and available but why would anyone want to ignore the rich conversations occuring all around and discover more about the older husband & wife who just docked their schooner from San Diego, sailing next through the Panama Canal to New York City and then on to Ireland. Or the National Airlines pilot who always takes an extra day so he can visit and taste "the best beer in the country." Or the Port Townsender local confirmed hop-head who states with passion that, compared to the Water Street Brewery, here "the crowd is nicer, the ambiance, the beer outstanding." So un-furl the sails, full flaps & land safely at the airport and walk, run, drive or ferry to Port Townsend Brewery and enjoy. But don't stay too long...this is a jewel in Washington's crown and we don't want it spoiled. In fact, ignore everything I've written. This is a bad place...BAAAAAADDDD place..and the beer is...uh...skunky and warm and the people are rude and obnoxious and...Bad, BAD -- oh, so...very, very bad. And skunky. Did I mention the badness?